Running a report on holiday and sickness will generate this information for all staff in your company. If you would like to only see holiday and sickness information for a particular employee, you can do this on their profile. Navigate to your staff directory and locate the staff member you would like to add a salary for. Once you are on the staff member's profile, navigate to their holiday or sickness tab. 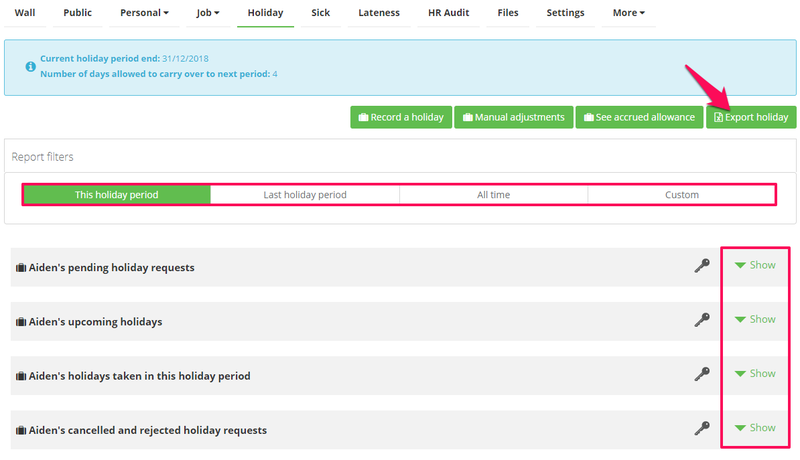 You will then be able to filter these results between this holiday period, last holiday period, all time and custom date ranges. You can also export this information onto a spreadsheet.